Jen Kiok and Nisha Purushotham (EL 2017) host this monthly gathering. Currently this is a private event, but they are looking to expand the EL community. If you’d like to join a future event like this sign up below! A space to play and have fun! Reconnect with your inner child. Experience elements of a playful spirit. Discover where play is blocked in your body, mind, emotions. Explore ways to bring elements of play into your daily activities. Maureen White (EL2017) is hosting a full day workshop, starting with Yoga and ending with a facilitation of The Work by Byron Katie. Remembering the apocalypse and re-imagining the new world. A 10 part installation series anchored in Roxbury, MA. . These installations aim to memorialize the lives of 11 black women who were murdered in Roxbury and Dorchester in 1979. Remembering the apocalypse and re-imagining the new world. A 10 part installation series anchored in Roxbury, MA. . The installations aim to memorialize the lives of 11 black women who were murdered in Roxbury and Dorchester in 1979. We're putting the FUN in FUNding our movements. It’s that time again. Join us for Liberation Games 2019. We'll fill Spontaneous Celebrations for a night of games, community, dancing and movement building. Open game room, Texas Hold’em Poker Tournament, Spades Tournament, lessons for poker, spades & dominoes, kids games, plus a dance party after 10:30PM. Seed Root and Bloom is hosting their last workshop in their Food Medicine series 2018 Kitchen of the Orisha: Feed Your Soul the Way you feed your Belly. Black women hold witness to the trauma of our experiences on American soil, while our bodies, and souls, are the birthplace of communities. The internalization of these experiences leaves us ill-equipped to heal ourselves and the communities we love. Blackbird Bliss is an exploration of feeding chakras directly connected to nurturing the power of women. Looking at the sacral and heart chakras, we will love on each other while we discuss the importance of this healing modality, identify signs of imbalance, and work with foods to awaken our divine energy. Spirituality, sexuality, health, and mental fortitude are all connected. This space will explore this interconnectivity while learning recipes and rituals to take care of ourselves as women of color. Please join us for this live neighborhood storytelling event, the last in the Constelación de Historias series. We'll hear from Gloribell Mota, Director of Neighbors United for a Better East Boston (NUBE). Gloribell is a longtime community organizer, social movement activist and East Boston resident. The East Boston community has amazing people with stories just waiting to be heard. The Story Loft is a place to unwind, unplug and connect with your neighbors' life stories. Free and open to all. Todos tienen una historia. Ya sabes la de tus vecinos? Por favor, juntáte con nosotros para esto evento de historias comunitarias, el ultimo en la serie de Constelación de Historias. Escucharemos de Gloribell Mota, la directora de Vecinos Unidos Para un Mejor East Boston (NUBE). Gloribell es una organizadora comunitaria hace mucho tiempo, una activista en movimientos sociales y un residente de East Boston. La comunidad de East Boston tiene personas increíbles con historias esperando a estar escuchados. El Altillo de Historias es un lugar para relajarte, desconectar de tecnología, y conectar con las historias de la vida de tu vecinos. East Boston is one of the fastest changing neighborhoods in the city. Constelación de historias is a storytelling project, anchored by youth-produced 94.9FM ZUMIX Radio. Our event series wishes to bring youth-led action and story to our neighbors' engagement on the issue of rapid housing development. East Boston es uno de los barrios de la ciudad que esta cambiando a pasos agigantados. Constelación de historias es un proyecto narrativo, dirigido por 94.9FM ZUMIX Radio, una emisora comunitaria producida por jóvenes. Nuestra serie de eventos quiere traer la acción y las historias de jóvenes a la participación de nuestros vecinos en el tema del desarrollo rápido de la vivienda. Constelación de Historias is part of Localore Live, an initiative of AIR, the Association of Independents in Radio, with financial support from The John D. and Catherine T. MacArthur Foundation, the Wyncote Foundation, and AIR producers everywhere. Constelación de Historias es una parte de Localore Live, una iniciativa de AIR, la Asociación de Independientes en Radio, con apoyo financiero del John D. and Catherine T. MacArthur Foundation, el Wyncote Foundation y los productores de AIR en todos lugares. #LocaloreLIVE Artwork by Mithsuca Berry. 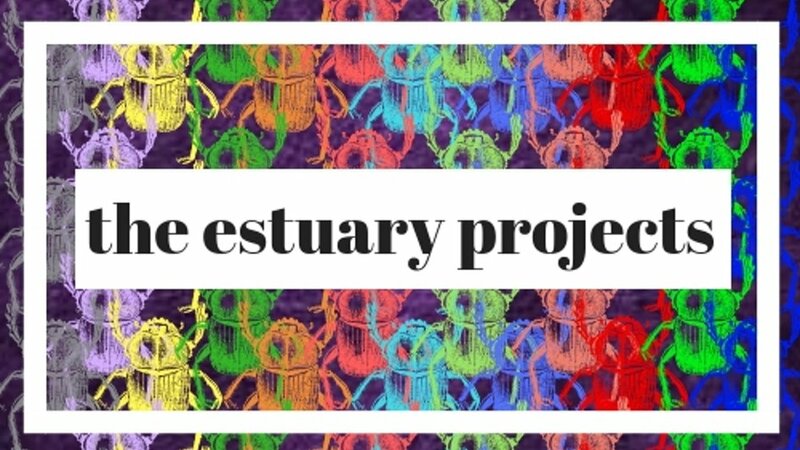 The Estuaries Project is the artistic dream of Kendra Hicks, EL 2017 Participant. Contribute to the Kickstarter here and we will post the exact dates the installs will go live shortly. By supporting this project you wont just be bringing these installations to life but you'll also be helping cultivate our collective memory in the service of strengthening our collective imagination. Eroc Arroyo-Montano (EL 2015) is co-facilitating this intensive training of trainers which will explore the role of popular education in movement building and share tools that educators, organizers and activists can use with their communities to analyze the roots of our current crisis, heal themselves and others, and take action for profound change. Julian Mocine-Mcqueen (EL 2017) with The Million Person Project is hosting a free step-by-step online training to start telling your authentic story and grow your impact as a leader. Lawrence Barriner (EL 2017) is holding a workshop for men which will explore what relationships of care between men will look like after the fall of patriarchy. "By mapping out what our current ecosystems of care look like, we can begin exploring how we might want them to be different in a post-patriarchy world." THIS WORKSHOP IS CURRENTLY FULL Check back later for more opportunities to participate.